Free back to school supplies help children start the year prepared to study. If you need school supplies or uniforms, the Salvation Army is a part of the effort to help low-income families get ready for school. The Salvation Army has a Back Packs for Kids program and can help with school uniforms. Back to school time is one of the most favorite time of the year for many parents. After Summer is over and the kids finally return to their daily studies. Free back to school supplies gives children some of the tools they need to succeed in school. It can be stressful for families that can not afford to buy school supplies for their kids. Some people don’t understand how many families need help with school supplies. That long list of school supplies parents need to buy for school, starts to get expensive. I too remember struggling with this issue as a parent. If you have two or more children, it can really be expensive, along with buying new shoes and school clothes. I remember when I was in the 3rd or 4th grade, I had to ask to borrow loose leaf paper because I didn’t have any. It is difficult for a child to feel good about themselves when they are not prepared as their classmates. I also remember the years when I had the right school supplies, notebook, pens, paper, binders. I felt like a million dollars and most of all ready to learn! Find out where to get help for your kids. There are several churches and community organizations and charities in the United States that help needy families get children ready for the school year. Below is a list of places to go for free school supplies. 1. Salvation Army – Every year beginning in July, the Salvation Army helps low-income children with free school supplies. Children go on a shopping spree for their school supplies. This is done through a gift card to be used only for this purpose. Please check with your local Salvation Army to find out if this back-to-sch00l program is offered in your area. Not all programs and services are offered at every location. 3. Kids in Need Foundation – The Kids in Need Foundation works with schools across the country that have a high enrollment of children living below the poverty level. Parents can not get, school supplies personally, but speak to your child’s teacher. This organization allows teachers to obtain a variety of back to school supplies to give to their students. This eliminates the need for the students’ families to purchase these supplies. School bags loaded with supplies are available for schools where most of the students qualify for the free discounted lunch program. Teacher in qualified schools will be notified of the day and time you can go to the warehouse to pick up items for your kids. 4. Operation Homefront – Helps military families with multiple resources like help with rent, medical, etc. Their Back to School Brigade helps children of military families with back to school supplies. Each year they hand out thousands of backpacks filled with supplies, donating millions of dollars worth of supplies. For seven years Dollar Tree has sponsored the program. They work directly with the program and help to set up and collect from their 5,000 stores nationwide. For more information go here. 5. Community Charities – Every community has local charities like the Salvation Army. Many communities in the country have local organizations that operate programs designed to help prepare students for school by purchasing their school supplies. If you are in need of supplies for your child, you should contact your local school or your local United Way to see what programs are available in your area. Church assistance programs. 6. 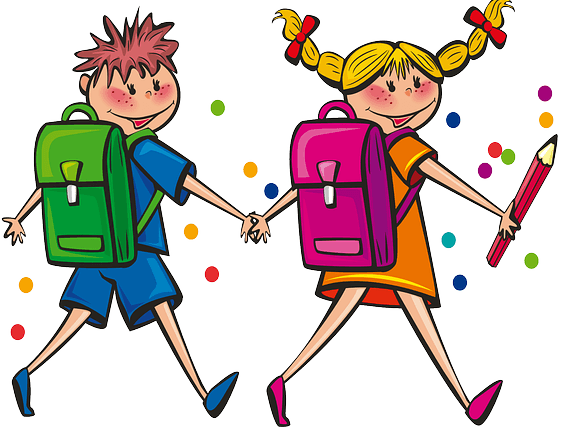 Churches – Many churches have a school supply drives each fall not only for members but for needy families in the community. Two months before school starts, begin calling the churches in your area or call 2-1-1 for more information about free school drives. 7. Teachers – If you live in a low-income community the teachers in your child’s school, is probably eligible for the kids in need program. If you know who your child’s teacher, reach out to her to let her know you need supplies for school. If anything is missing from your kid’s supply list there are few places to get cheap items for school. Family Dollar is located in most communities nationwide. 1. Dollar Tree – The best thing about Dollar Tree is unlike Family Dollar, everything is exactly $1! They have pens, pencils, crayons, notebooks, binders, paper storage and organization tools. All you need for the first day of school. 2. Wal-Mart – This store is well known for its sales and affordable items for the entire family. Back to school specials are always available. Look for fliers in the Sunday news or on their website. Thank you so much. I got two kids I have a 9th grade girl and a 10th grade boy. Thank u this will make my child so happy!